How can I add one more step into an already finished campaign? Learn if you can still create additional steps for your Reply automated email sequence and what are the conditions thta enable that option. Once a campaign has sent out all the steps and everyone in the campaign has been marked as Finished, it's not over yet. If you would like to continue with more steps, you can easily add a new step. Once a new step has been added, the next step is to change the Finished status to Active for those users in campaign who never replied, bounced or opted out. 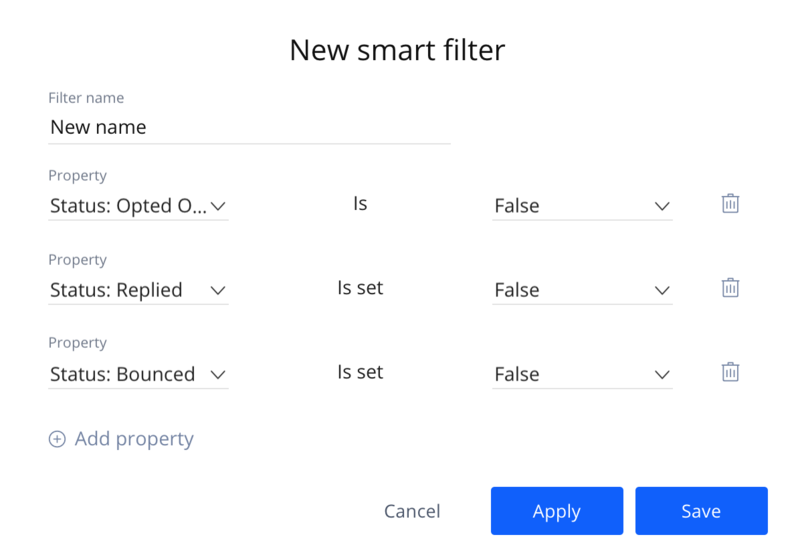 Use the smart filter to select all of these prospects and Apply -> you'll have the list of people who you need to change the status for. Now, change the status for all selected people by using this option. Once these prospects are set to an Active status, the campaign will resume and those prospects will receive the next Step you've created. Make sure the campaign has a green toggle, meaning that it's up and ready to go!